Bosch's GMS120 Digital Wall Scanner provides detection of multiple materials including wood, metal and live wiring. 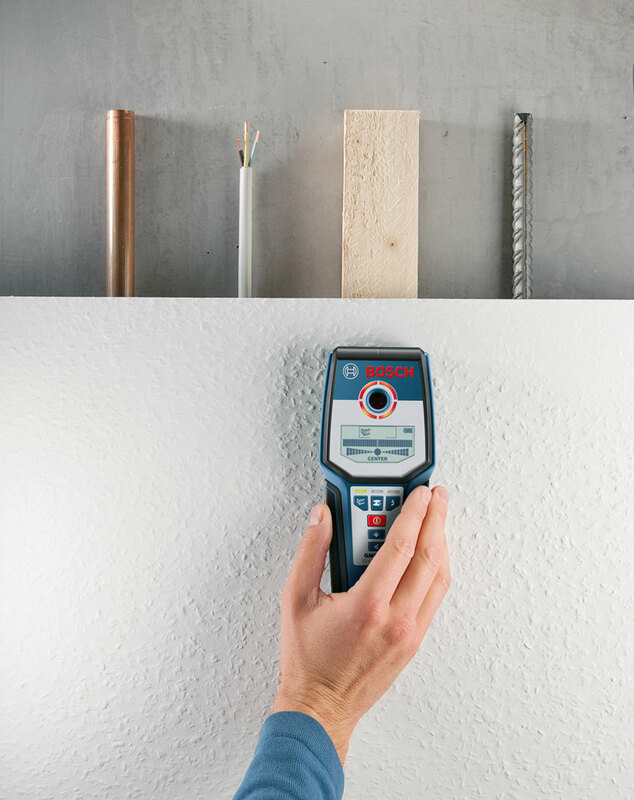 Because of its versatility and consistent performance, it's an ideal tool for construction, electricians, contractors, masons, plumbers and others who need reliable detection. 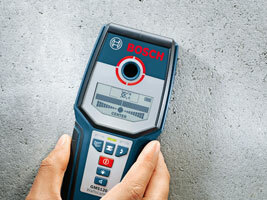 Bosch’s GMS120 digital multi-scanner provides detection of multiple materials, including wood, metal, and live wiring. Because of its versatility and consistent performance, it’s an ideal tool for construction, electricians, contractors, carpenters, masons, plumbers, and others who need reliable detection. 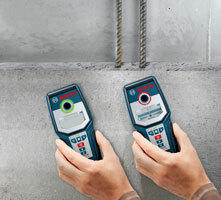 With its three modes, Bosch’s GMS120 digital multi-scanner is an aid in most situations, as its modes cover wood studs, metal objects such as rebar, studs, and steel/copper pipes, and live wiring. It has precise automatic calibration that makes use easier and an automatic center finder, which pinpoints the center spot of the wood or material that has been detected. The GMS120 has a deep metal detection feature, which allows a user to detect steel that is placed up to 4-3/4-inches (120 mm) deep in cured concrete. It has a maximum detection depth of up to 2 inches for live wiring, up to 3-1/8 inches for copper, and up to 1-1/2 inches for wood studs. 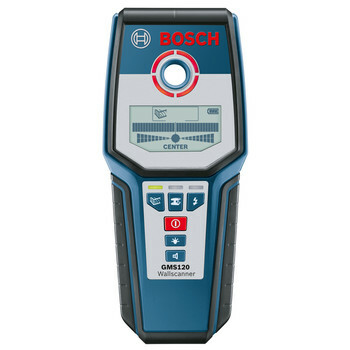 Bosch’s GMS120 digital multi-scanner provides an illuminated ring that indicates detection status and an audible detection signal with an on/off button. Adding to the user-focused design, its bright and readable illuminated graphical LCD display indicates mode, detection strength, and more, making it simple to check the detection device and switch modes and tasks. In addition, its ergonomic soft-grip provides a comfortable grip that’s secure and safe. The Bosch GMS120 digital multi-scanner measures 10-1/4 inches by 3 inches by 6-1/2 inches and weighs .6 pounds. It comes with a two-year warranty. One Bosch GMS120 digital multi-scanner, hand strap, one 9-volt battery, and carrying pouch. Bosch’s GMS120 digital multi-scanner detects multiple materials, has a user-friendly design, and easy detection status checking (click each to enlarge).